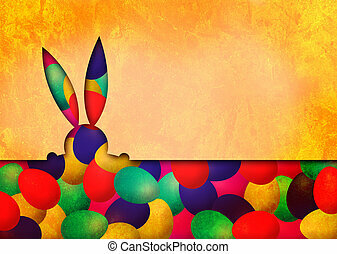 Easter bunny. 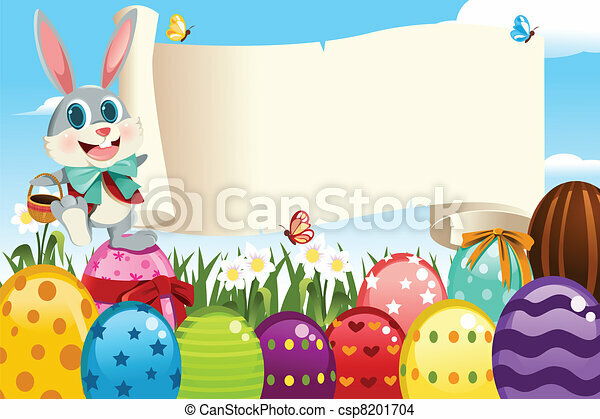 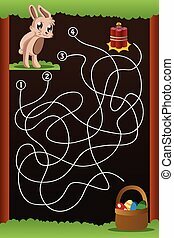 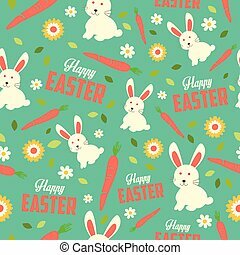 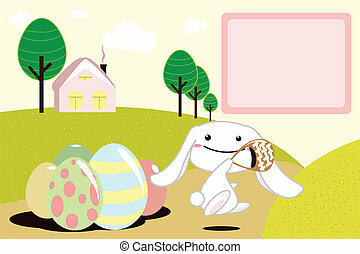 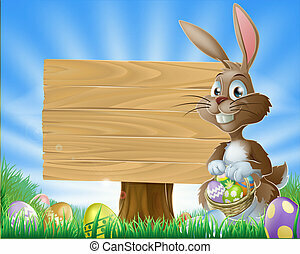 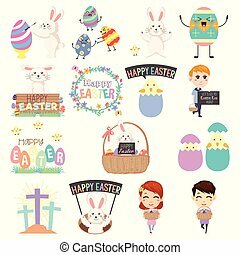 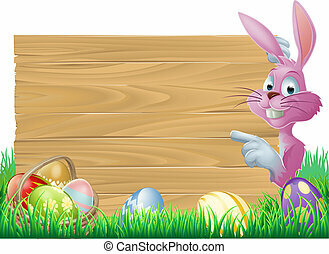 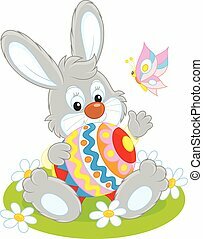 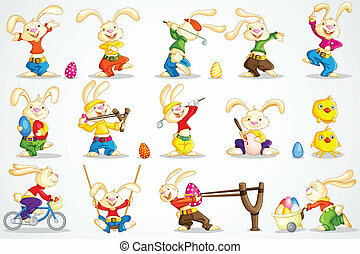 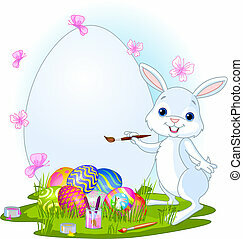 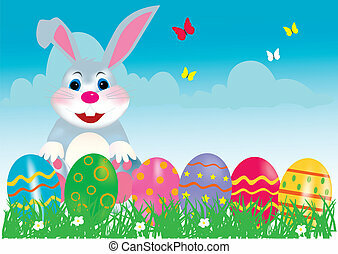 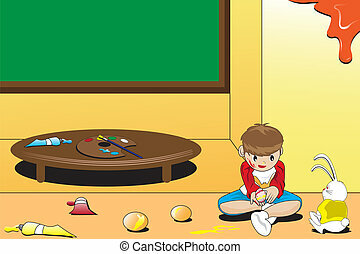 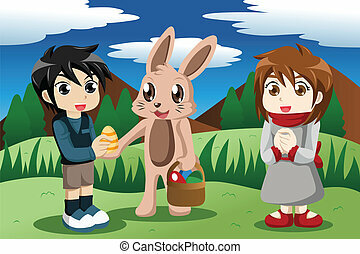 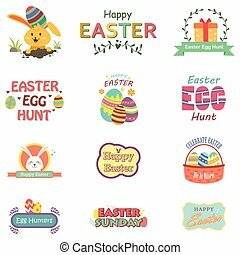 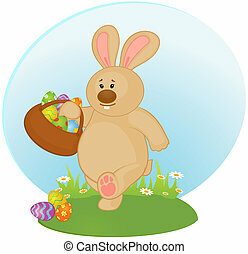 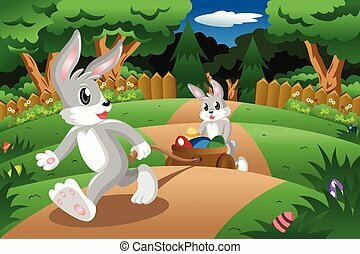 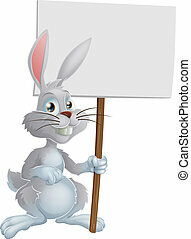 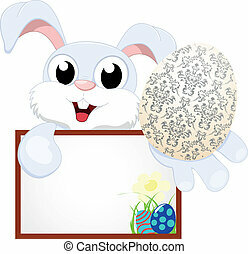 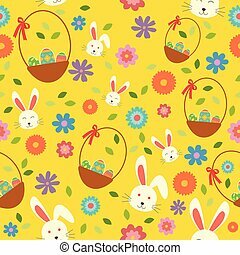 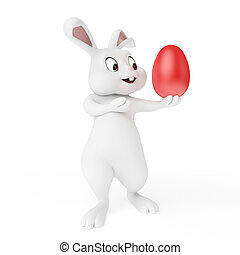 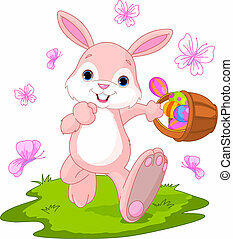 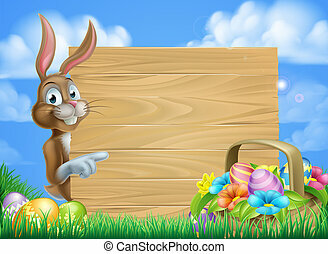 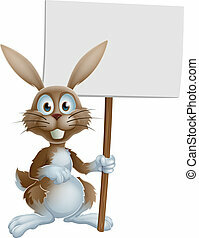 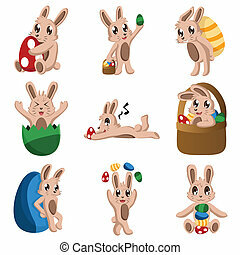 A vector illustration of an easter bunny holding a blank sign surrounded by easter eggs. 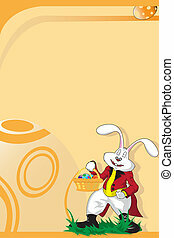 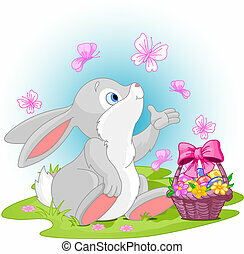 A cute Easter bunny sitting near Easter eggs basket.